Per media reports, T-Mobile US, Inc. (TMUS - Free Report)	recently inked a content distribution agreement with Viacom Inc. (VIAB - Free Report)	— the owner of Nickelodeon, MTV, Comedy Central and Paramount Pictures. The move is expected to play a crucial role in the wireless carrier’s delivery of new mobile video services to consumers, later this year. Financial terms of this major contract were not disclosed. Notably, Viacom is the first TV partner that T-Mobile has announced for its forthcoming over-the-top (OTT) push. The multi-year deal will allow T-Mobile to bring together live linear feeds of Viacom channels coupled with a range of on-demand content for nearly 80 million customers. In late 2017, T-Mobile bought OTT TV startup Layer3 TV for about $325 million, and since then has been preparing an in-home TV solution to replace cable for the 5G era. T-Mobile aims to tap into the bountiful opportunities in the rapidly growing wireless TV services market. The company is actively seeking to outsmart its arch rivals — AT&T and Verizon Communications Inc. (VZ - Free Report)	— that already have significant presence in the media space. Separately, T-Mobile’s proposed $26.5 billion acquisition of Sprint is still pending regulatory approval. 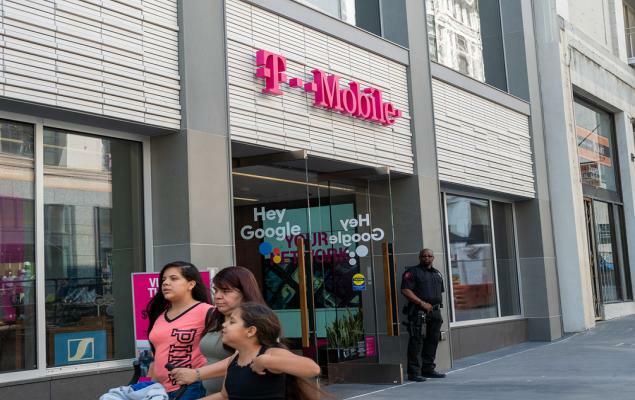 The New T-Mobile, which would have some 127 million customers and a strong closing balance sheet, is expected to bring robust competition to the 5G era. 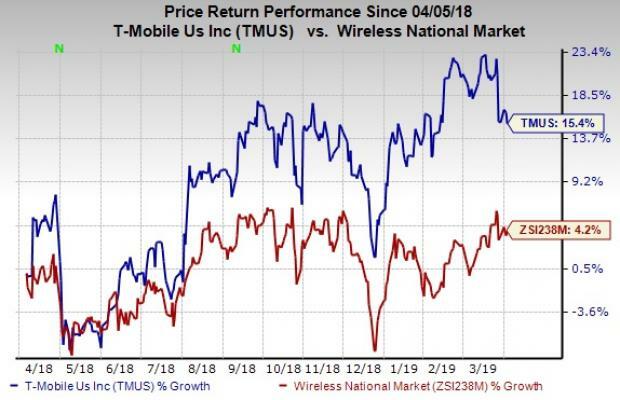 T-Mobile is also poised to benefit from customer growth, courtesy of coverage expansion and industry-leading network performance including 4G LTE speeds. The company inched a step closer to building a nationwide 5G network with the successful completion of the world’s first 5G data transmission on low-band spectrum (600 MHz). The company is well underway to deliver nationwide 5G in 2020, deploying 5G-ready equipment as it rolls out 600 MHz Extended Range LTE, which is now live in more than 1,500 cities and towns in 37 states and Puerto Rico. T-Mobile boasts one of the fastest LTE networks in the industry realizing average 4G LTE download speeds of 33.4 Mbps, and average 4G LTE upload speeds of 12.1 Mbps. Driven by diligent execution of operational priorities alongside increasing market traction of wireless business, the stock has recorded an average return of 15.4% compared with the industry’s rise of 4.2% in the past year. Currently, T-Mobile has a Zacks Rank #3 (Hold). 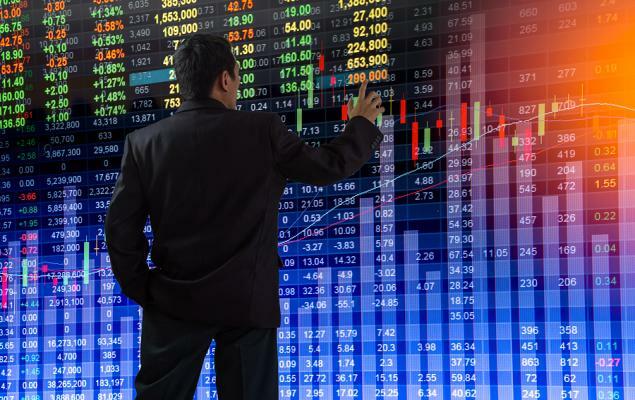 You can see the complete list of today’s Zacks #1 Rank (Strong Buy) stocks here.